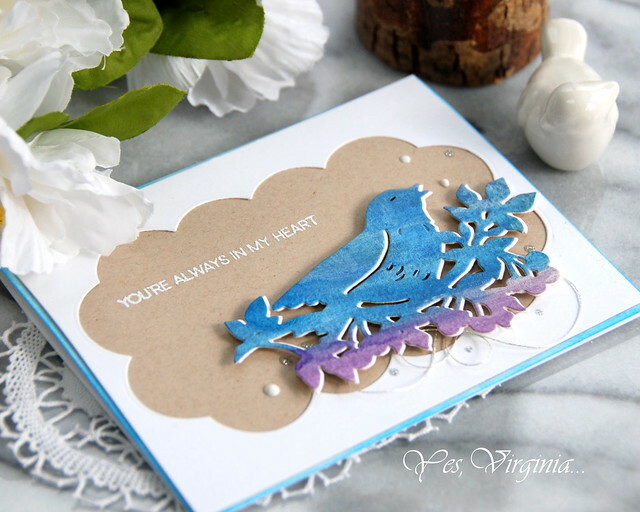 Yes, Virginia...: Spellbinders Blog Hop! 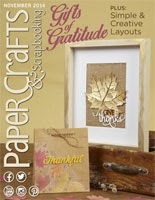 It gives me great pleasure to be part of the Spellbinders Blog Hop. If you came by the blog of Helen Salo , you are in the stop. If not, come on in and join the hop! Flower Garden by Sharyn Sowell. collection. 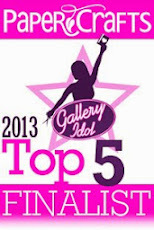 You MUST check them out as each one of them is amazing! My first card features Birds on the Cherry Branch Die. I love that the nest, the bird and leaves are all in one die. As you can see, this die does all the TWEETING/talking! The sweet bird was painted with watercolor. I used the negative part of this "Thinking of You" die to create a white overlay on kraft background. I stacked the dies and slightly offset the images to show off the white. My 2nd project features the intricate Floral Photo Frame Etched Die! I die cut two frames and the top panel and that's it! It is SO easy to put together! I applied colors with Distress Oxide and added Rose Water Nuvo Dew Droplets. My 3rd (and last project) features Dimensional Floral Panel Etched Die. I created my own paper with watercolor and die cut it once it's dry. 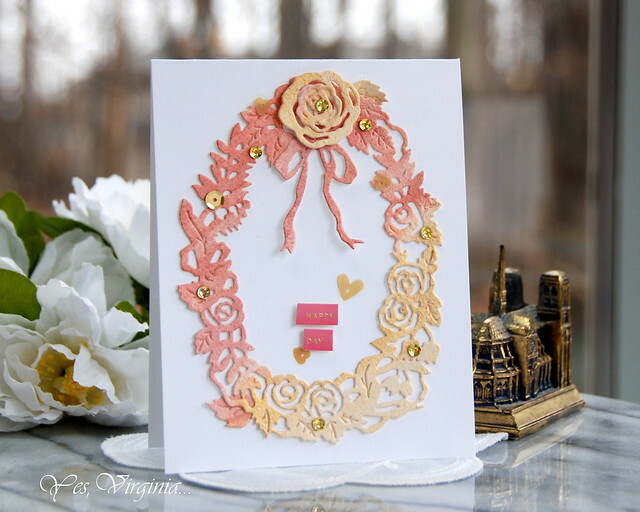 Since the die Dimensional Floral Panel Etched Die is so ornate and detailed, it is perfect for creating a wedding card! I absolutely love how dreamy this looks! I have one more project to share with this die "Etched Gatefold Etched Die" , please be sure to stop by again to check it out. I hope that you get some ideas and perhaps are inspired by these projects! Giveaways: To celebrate this release, Spellbinders is giving away a $50 gift certificate to THREE lucky winners. 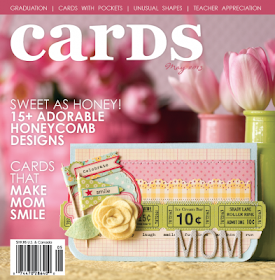 Please leave a comment on Spellbinders blog by Sunday, February 18th 11:59 pm EDT for a chance to win. 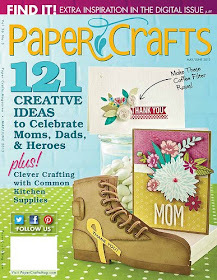 The winners will be announced in the blog hop post on Spellbinders blog the following day. 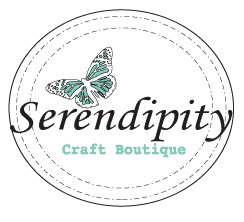 Comment to win: Spellbinders is so generous that they offer to do a giveaway $25 gift certificate to Spellbinders.Be sure to comment by Feb. 15th. 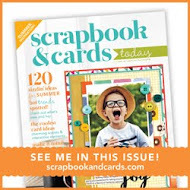 For all the blog hop inspiration, please visit Spellbinders. Thank you so much for stopping by! Enjoy the rest of your hop. Where to begin? 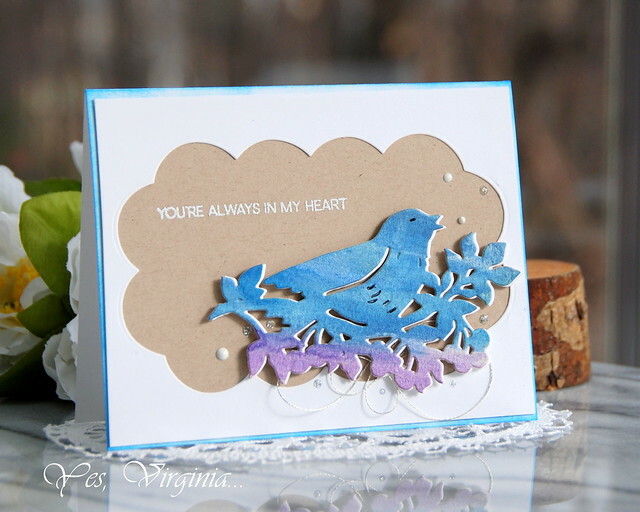 Why at the beginning: Blue Birds card is lovely, I can almost hear the song. That frame is perfect as is your nieces daughter. And finally-dreamy and lovely. Simply gorgeous! you always call your posts photo heavy but they never feel that way to me! Such lovely cards :) They are so pretty! Great projects! The framed picture card is just the cutest!! Your cards are so beautiful!! 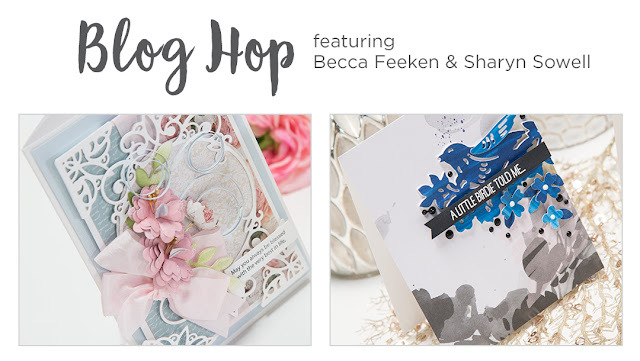 I am in love with all of them and the new spellbinders release from Becca and Sharyn is amazing! I love your picture frame! All your projects are just gorgeous, Virginia. I love how you colored the bird die. The offset stacking really looks good. That frame and your grandniece's picture is darling. The paper you created is positively beautiful. All the dies are so striking. I particularly love the sentiment "You are always in my heart." 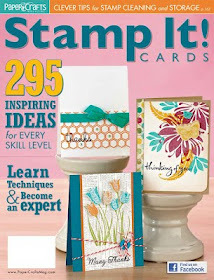 Could you please tell me the name of the stamp set? Thanks! Love your paper and the rose die. TFS! Gorgeous dies! Love the cards and the photo frame! The Dimensional Floral Panel is my favorite! So much delicate detail on the die cut, and lovely colors! 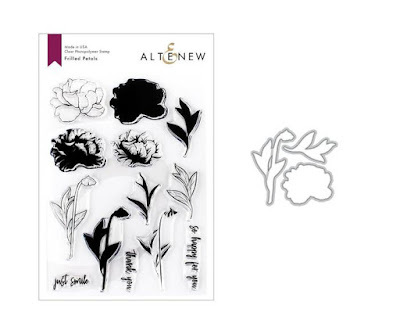 These dies are so beautiful but adding your loving touches makes them special. Blue bird of happiness...Really nice. thank you for sharing. 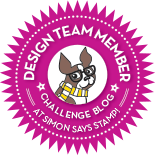 Your projects are just fabulous and totally different! The frame and photo is adorable. Lovely cards, thanks so much for sharing. 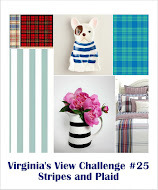 Gorgeous projects, Virginia! I love it when you watercolors on dies...the effects are amazing! Thanks for sharing your work Virginia - always an inspiration. Love the work you did and the colors you used - what an inspiration you are sharing!! Oh that dimensional floral panel is so beautiful and even moreso with your gorgeous watercolors! Hi, Virginia! LOVE all of your cards, but the last one really is super beautiful. 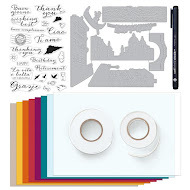 Love your watercolor paper from which you cut this gorgeous die. One word sums it up pretty accurately in my mind...GORGEOUS! Oh Virginia, These are ALL so BEAUTIFUL!! 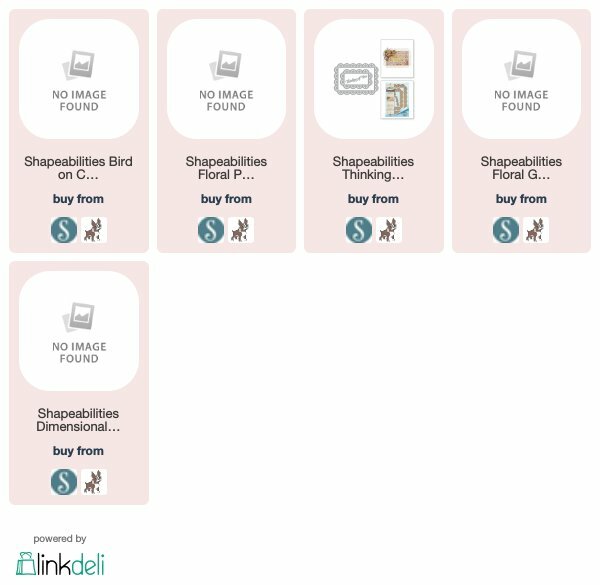 I love that bird on that first one and that 2nd one, I like easyones, lol. I was wondering who that little sweetie was, she is so ADORABLE, your niece is one lucky girl. Thanks again for sharing some great projects today. Thank you for the beautiful introduction to Sharyn Sowell's dies which are very lovely and versatile. I really like all of the dies in this collection! Lovely projects! The frame with the photo is so charming. Thanks! Three beauties, Virginia! Just love how you colored the bird in nest on card 1 and the pretty inked panel on the final card! Gorgeous frame too!! So beautiful. I am loving the new Spellbinders club dies! Virginia, I love all three of your works of art! I love the bluebird set against the tan cutout. It really makes the bird stand out with its soft coloring. And your soft coloring leads to your other projects! You have such a light touch with color. The oval wreath is just awash with softness. I love the frame. (That's my favorite but maybe because your grand niece who is such a cutie!) Your work is just gorgeous! I love the photo frame! 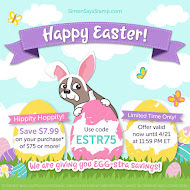 What a great idea that’s so mailable and super adorable!! So pretty! The photo frame is an amazing idea! 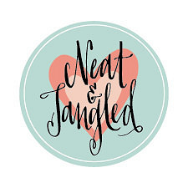 Lovely projects, thanks for sharing!! WOW love these dies and you showcased them so beautiful. Wonderful cards and amazing frame. Thanks for sharing! wonderful projects. Love the sweet bird, adorable frame and gorgeous wreath. Thank You for sharing a great card... So cute.. I love these as lanterns and they are lovely. 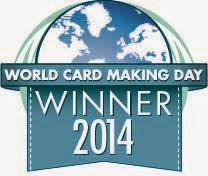 Your cards and picture frame are beautiful! 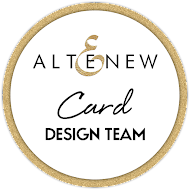 I have found your cards very colorful and creative, I certainly enjoyed them, thank you! First the little girl is adorable and that frame is pretty! 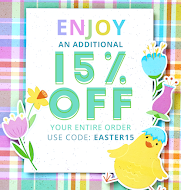 I love the way you colored the bird and wreath.Great cards! Thanks for sharing! Who's the darling little girl gracing your frame? 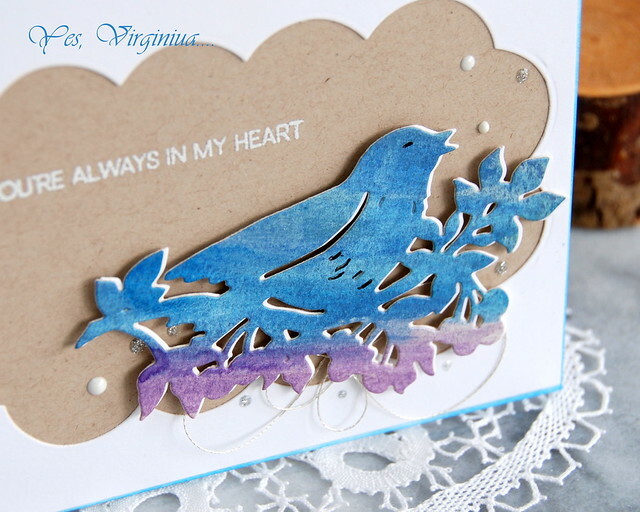 Love the new Spellbinders release and the ways you used them. Thanks for sharing. Hey Virginia, hope all is well with you!! I love these projects!! Nice projects but the photo frame is beautiful, with the subject who makes it adorable! Gorgeous cards Virginia. These are very elegant dies. Your great niece is pretty darned cute too. Love the coloring technique and the end results! How beautiful! 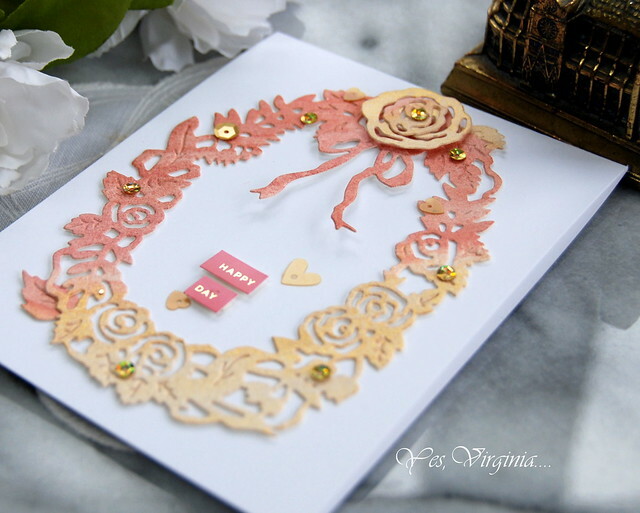 Lovely cards with amazing dies. These are beautiful collections! 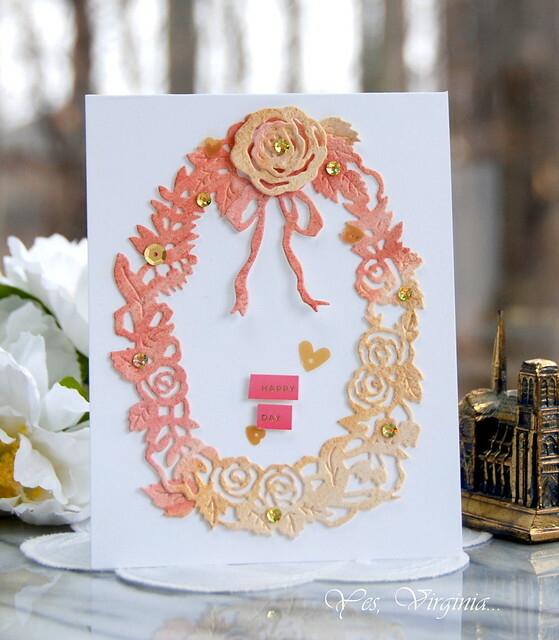 Your cards are beautiful, that wreath on the wedding card is so elegant and the colors are perfect! I LOVE your bird card.....EVERYTHING about it. Your frame is gorgeous and the picture is SO cute!! I just love your projects! Beautiful! 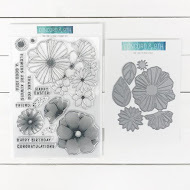 These are great new dies and I love the projects you made with them. Very pretty! Awesome projects! I really love the idea of making a frame! All your projects are beautiful. I love the bird. 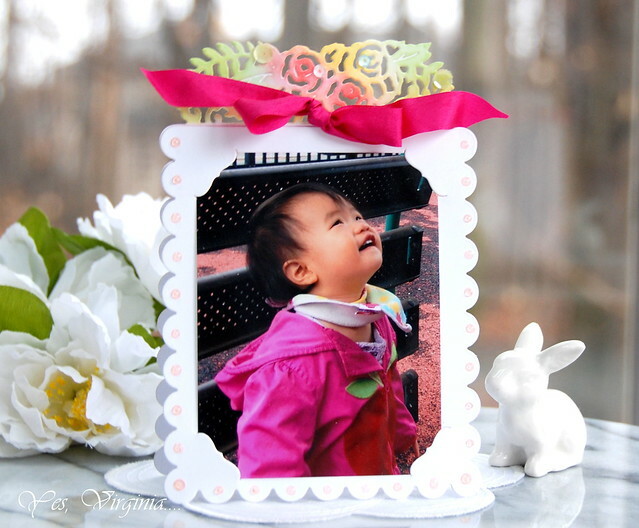 Love the beautiful picture frame with the adorable subject! The bird card is awesome too. A great design & the wedding card is elegant! Wonderful projects from a true artist!! Virginia, all of your projects are amazing! Love the softness of the Oval wreath. Your coloring is just amazing! The bluebird is so fan against the tan background - Makes him look like he's about to fly off the paper! Thank you for the wonderful creative inspiration! Gorgeous projects! And your daughter is an angel. wow your cards are stunning and super beautiful!!! OH my goodness that framed photo is cuteness overload! Beautiful work! I love your coloring on these die cuts! It adds so much to an already gorgeous shape! Your projects are lovely. I like the way you used the dies. Thank you for sharing! 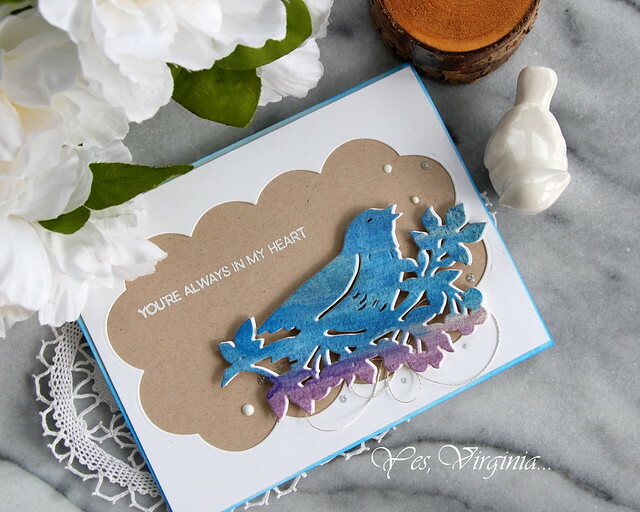 All of these are just gorgeous and I love that Bird On A Cherry Branch die, mainly because of your card! Just love the picture idea you incorporated. What a brilliant idea. 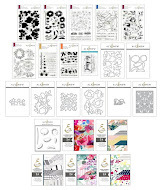 Fabulousc projects and beautiful dies. What sweet ideas! Thank you for sharing! WOW... Virginia, your cards are gorgeous and elegant.